Select ... 7" DeWalt Electric variable speed Polisher/sander DWP849X (+ $195.00) 7" Metabo variable speed polisher PE15-30 (+ $285.00) No, Thanks! 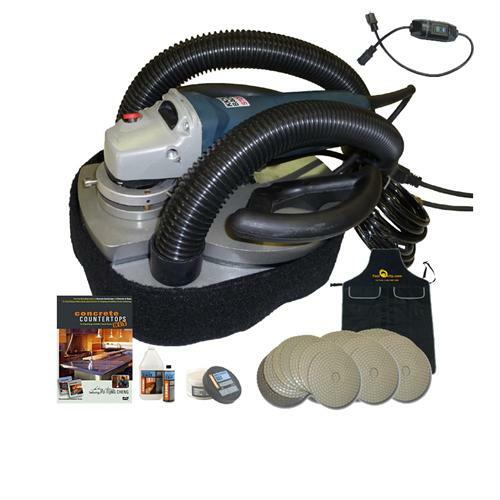 Polisher/grinder is not included in this pricing but you can choose one as an option. 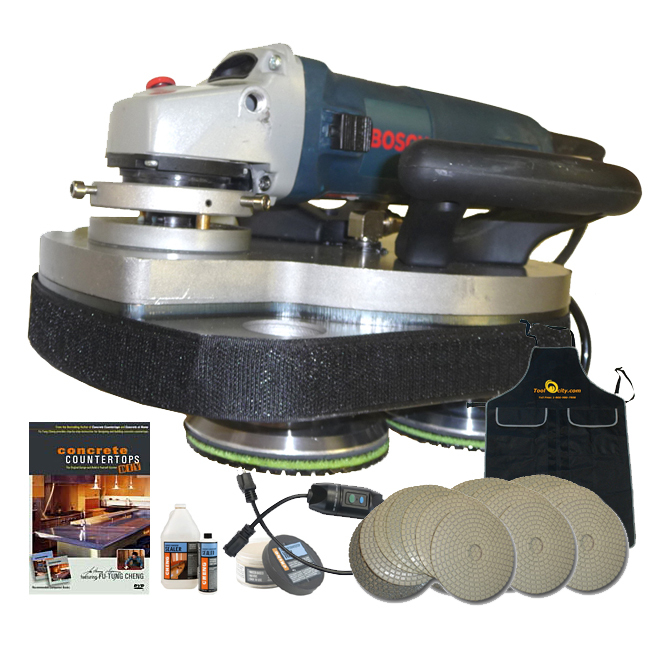 Choose No, Thanks from the drop down list if you do not need a polisher/grinder. One year warranty for planetary polisher base/platform. The 4" ADT dry diamond polishing pads are 2.5mm thickness, specially formulated for polishing concrete countertops. Please follow the links to view more details of the products included in this package. Achieve swirl free polishing fast!